Smoothies are my favorite way to get the daily allowance of fruits and veggies I need. They are quick and easy to prepare, taste great, and make great meal replacements. 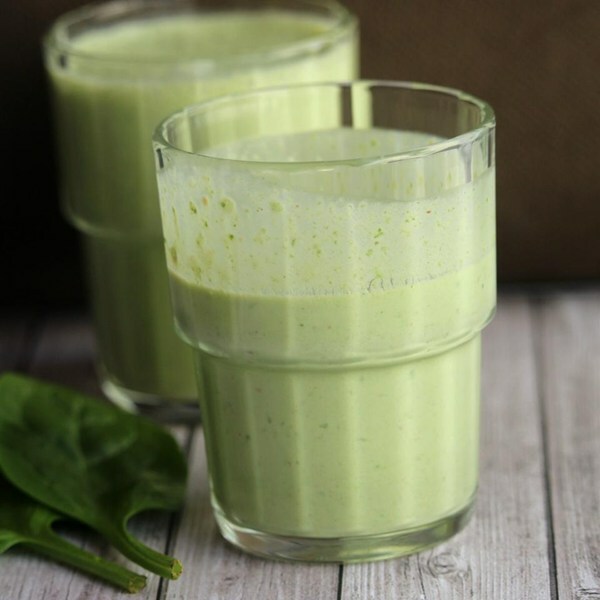 Today I'm sharing my five favorite smoothie recipes. I was skeptical about this smoothie at first. I wanted one that incorporated spinach, but the entire combination of ingredients (spinach, banana, peanut butter, milk) in this smoothie seemed off. However, as soon as I tasted this smoothie, I knew it would soon become a favorite. The peanut butter balances the spinach so that you get the health benefits of spinach without a heavy taste. One of the reasons I love this smoothie is because it contains fruit that I love but that I don't necessarily eat regularly. Plus, how pretty is this layered smoothie? 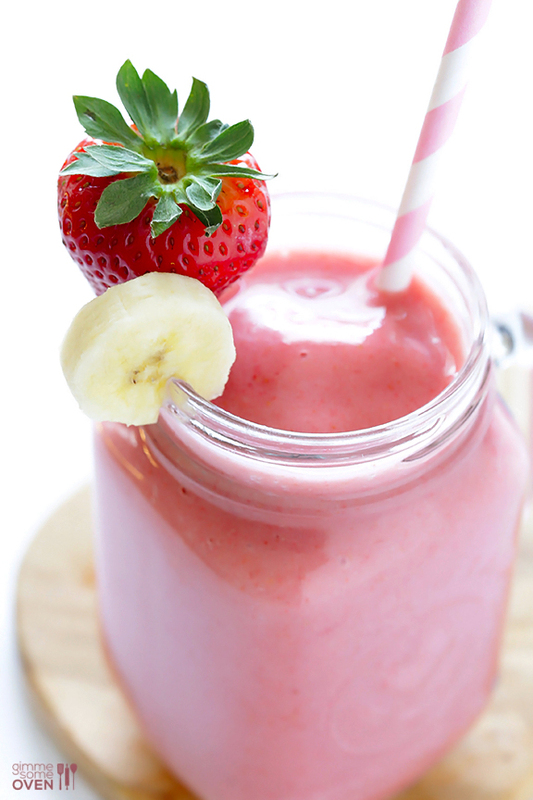 Many smoothies use juices or milk as the main liquid. 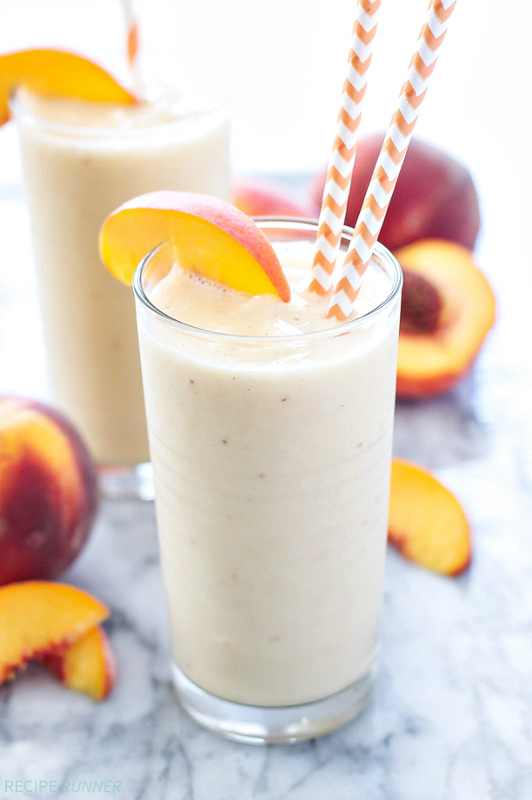 This smoothie contains green tea, which combined with peaches and Greek yogurt makes for a delicious combination. 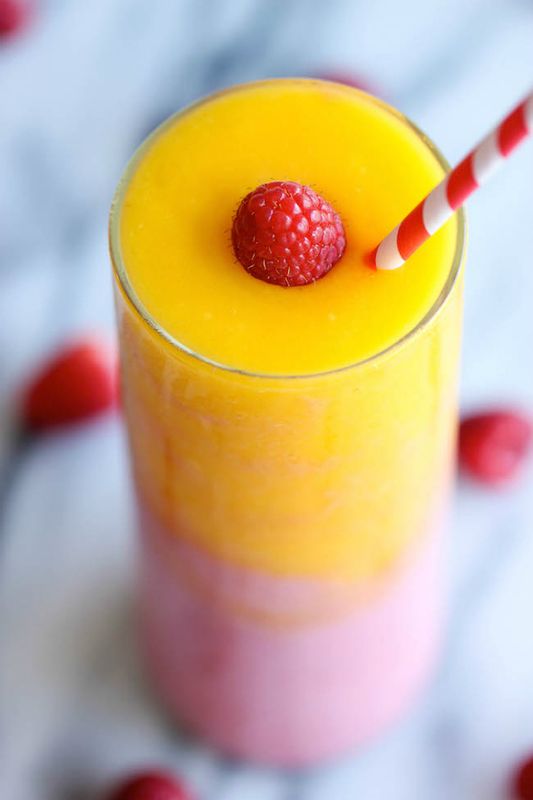 This is a classic smoothie combination that never disappoints. This smoothie is like a decadent milk shake but with health benefits. 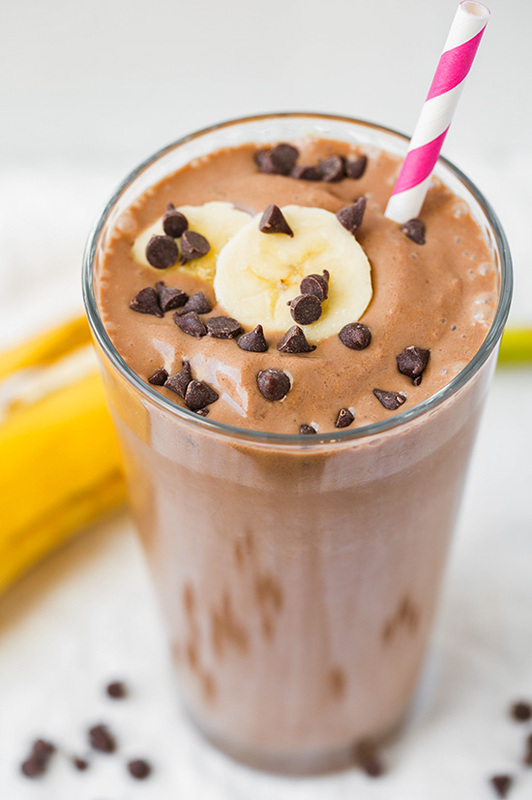 The banana and peanut butter add a nice dose of potassium and protein so you can feel a little less guilt about the chocolate.